There are many styles from which to choose. We advise you to try out many different styles and teachers to find the right fit for you, for now. It’s important to remember, in your search, that no two teachers are alike. Explore, invite, excite or calm down. Just ask yourself, “why do I want to practice yoga and what do I need?” Then, feel free to share your answer with us. We can point you in a direction to start your journey. Please attempt to cancel any reservations prior to class if you know you won't be in attendance. If you register on MindBody, but do not arrive to class, you will be dropped from the roster and credited for a future class. You will not receive a refund for missed classes. Class packages and monthly unlimited memberships are non-refundable. HERE ARE A FEW POINTERS FOR YOUR FIRST CLASS WITH US. Reservations are encouraged -- classes can fill up quickly. Bring a mat and towel. We do have studio mats available if you don’t own one yet. 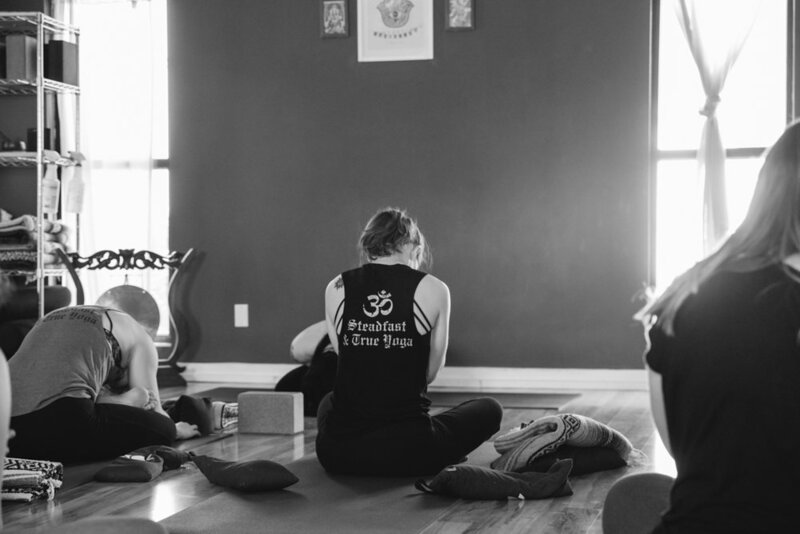 Remember, the only thing you are obligated to do in a yoga class is show up and breathe. Everything else is optional. Arrive early and be sure to introduce yourself to the teacher. Let them know how much experience you have, or about any injuries or illness. Bring water. We have water for refills but do not keep cups to cut down on waste. Try to eat at least one hour before doing yoga; two hours is even better.